You might encounter these terms when recording, mixing or mastering. For a beginner in music production, these things can be very confusing. So let’s end all the confusion once and for all with this guide. 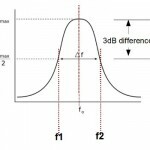 First, low shelf and low pass filter are not the same; so as with high shelf vs. high pass filter. For example in the post on complete EQ settings to start when doing audio mixing you may have encountered suggestions to apply a low shelf/high shelf filters. Another example application are also found on EQ settings for mastering. Thus, it is imperative that you understand how this works so that you will know how to use them properly during practice. So what’s really the difference? The easiest way to understand is to show some response/output graphs that shows the behavior for each of these filters. 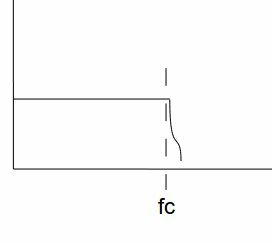 Definition: A low shelf filter will cut or boost signals of frequencies BELOW “fc” or cutoff frequency. 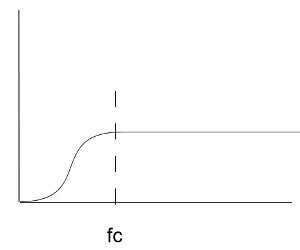 Above fc, the frequency response will not be altered and will pass normally. Below is the screenshot of a low shelf filter used in cutting signals of frequencies below the cutoff “fc”. Low shelf filter is commonly used during guitar EQ mixing and mixing vocals. The purpose is to cut the lower bass frequencies of each instruments so that it won’t conflict with the bass guitar and kick drum frequencies. 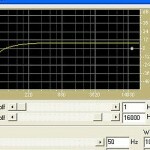 A common application is when you like to boost the bass frequencies below the cut-off “fc”. For example during mastering process when you observe that the bass is somewhat very weak. 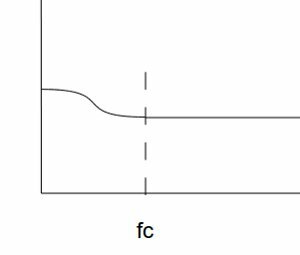 A low pass filter is only designed to cut or attenuate signals above the cutoff frequency but its never designed to boost signals. 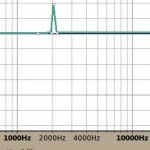 Common uses of a low pass filter includes cleaning noise or hiss signals above a certain frequency cutoff, for example 16Khz. Another definition is that a “low pass filter” allows frequency lower than the cutoff frequency to pass while severely attenuating above it. So for example, if the cutoff frequency of the low pass filter is 16Khz, then it is said to pass or allow 16Khz below while attenuate severely the frequencies above 16Khz. This is opposite to high pass filter which allows high frequencies and block lower than the cutoff. So how are you going to use a LPF in a mixing and mastering session?